With this module you’ll have access to a new statistic page. It contains bars of reservations divided by status, a graph of approved and new reservations, a pie that visualizes resources usage and income, detailed statistics over your reservations and a monthly comparison. In addition it contains a dashboard widget to view the most important statistics and incoming reservations without even entering easyReservations. This graph shows the approved reservations and the new reservations over one year. You can navigate through the time. 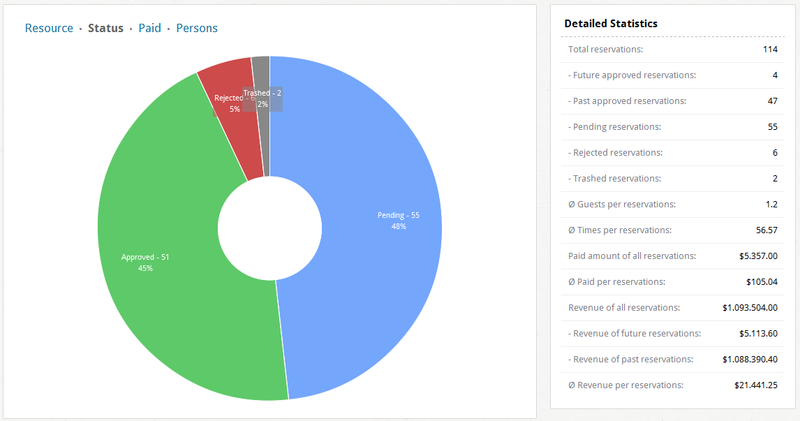 The pie shows resources, statuses, paid and persons without reloading. Beside are a bit more detailed counts of your business. The monthly statistics compares various data of the current month with the last one and shows up the differences. 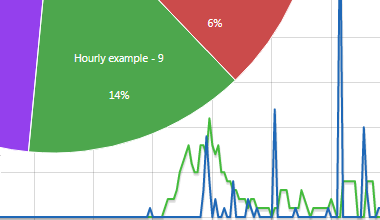 It appears on the dashboard, the statistics site and partially in the dashboard widget. To have anything under control on one page the dashboard widget shows the important statistics and reservations by groups in a list. They load without reloading.